Miss World 2011 attracted a record of 122 nations. Four nations are competing for the first time and nine are returning to the pageant. Six nations that competed last year wont compete this year. Two were supposed to debut but withdrew. Equatorial Guinea: Equatorial Guinea was announced as a debuting nation in the Miss World official website earlier this year. Nerre Priscila Barila Buale, Miss Nacional de Guinea Ecuatorial 2011, was the official representative to Miss World from Equatorial Guinea. At the last minute, the organization sent Nerre to Miss Supranational in Poland instead of Miss World. French Polynesia: After last year’s edition of Miss World, the Miss Polynésie française committee disbanded and many of the members rejoined the Miss Tahiti committee that send contestants to Miss France. Luxembourg: Despite the selection of Stephanie Ribeiro as Miss Luxembourg 2011 last December, the committee did not send the contestant to Miss World. No reasons were given. Macau: Macau attended Miss World 2010 because it was held in China after the Miss Macau pageant obtained the franchise last year. No pageant was held this year to select a contestant and there weren't enough funds to send an appointed Macanese representative to London. Malawi: Financial problems are usual in the Miss Malawi pageant. Last year, Ella Kabambe attended because the China Embassy in Malawi funded her trip at the very last minute. Faith Chibale could not attend because there were not enough funds for her trip. Réunion: The last update from the Queens Réunion pageant happened last July. The local press widely reported Emilie Maillot participation in Miss World. This didn’t come into fruition after organizational issues last summer. Saint Kitts and Nevis: The pageant was originally scheduled for May and then postponed to August. At the end, it was cancelled and the island nation missed the pageant. Saint Lucia: Sponsorship issues prevented Saint Lucia from attending the pageant. Austria: The last time Austria sent a contestant to Miss World was in 2009. This year, the winner of the Miss Austria pageant Carmen Stamboli was not allowed to compete in Miss World because she was 27 years old. The first runner-up, Julia Hofer, was selected to compete instead. 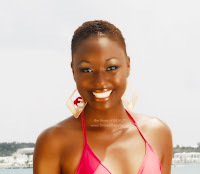 Bermuda: Milika Trott-Seymour successfully brought back the Miss Bermuda pageant whose last edition was in 1997. Bermuda, located in the North Atlantic Ocean, last participated in Miss World in 1995. 22 year-old Jana Lynn Outerbridge won the Miss Bermuda 2011 pageant and earned the right of representing her nation in Miss World. She stands 1.70m and has a degree in psychology. You can meet Jana in an exclusive interview for The Times of Beauty by clicking here. Bonaire: Bonaire debuted in Miss World 1996. It was the only year they sent a contestant. Benazir Berends Charles is the second contestant from Bonaire in the pageant. The Miss Bonaire pageant was brought back last year under the direction of Julina Felida. Benazir Berends Charles is 19 years-old and stands 1.76m. You can meet Benazir in an exclusive interview for The Times of Beauty by clicking here. Chile: Nataly Chilet was the last Chilean contestant in Miss World back in 2008. This year, Carla Marín Tobías and Polinka Lewitt from Com-Clave Ltda bought the Miss Chile license and obtained the Miss World franchise for Chile. They successfully held the Miss Chile pageant on September where Gabriela Pulgar Luco won the crown. Pulgar is 23 and stands 1.73m. You can meet Gabriela in an exclusive interview for The Times of Beauty by clicking here. Dominican Republic: Belkys Reyes was the license holder for Miss World in the Dominican Republic. The last pageant she organized was in 2008. In 2009 she handpicked a contestant and in 2010 she failed to send a girl to Miss World. This year, a new organization under the direction of Diany Mota obtained the Miss World license and successfully organized the Miss Mundo Dominicana pageant where Marianly Tejada Burgos was chosen as the overall winner. You can meet Marianly in an exclusive interview for The Times of Beauty by clicking here. Guam: Guam last competed in Miss World 1996. The pageant was revived this year and Siera Robertson won the crown. Liberia: A new organization took over the Miss Liberia pageant last year. The pageant was held in late 2010 and Meenakshi Subramani won the title earning the right of representing Liberia in Miss World. The last time Liberia competed was in 2009. Slovenia: Last year, Sandra Adam left China because of health reasons. She passed her crown last summer to Lana Mahnič Jekoš who earned the right of representing Slovenia in Miss World 2011. The Miss Slovenije pageant is run by Idejadeja Agency and Eva Repič since 2009. You can meet Lana in an exclusive interview for The Times of Beauty by clicking here. Armenia: After unsuccessfully trying to send a contestant in 2003 and 2008, the southwestern Asian nation of Armenia finally makes it to Miss World. Anna Arakelyan was appointed to represent Armenia after the Miss Armenia pageant was pushed to a later date. Arakelyan is 20, stands 1.70m and lives in Yerevan. Kyrgyzstan: After the announcement of Kyrgzystan participation in Miss World and the celebration of the first Miss Kyrgyzstan pageant earlier this year, the winner Nazira Nurzhanova was originally barred from competing in Miss World. The dispute between the national director and the pageant organizer was solved and the contestant was allowed to compete in the international pageant. Nazira is 24 and stands 1.77m and recently graduated with a degree in Economics. Saint Barthélemy: As a result of an initiative by Moana Sarann Luu and David Luu, the Caribbean island of Saint Barthélemy debuts in Miss World. A new pageant was launched under the same St. Barts Queens offering an opportunity to the island to be showcased internationally. 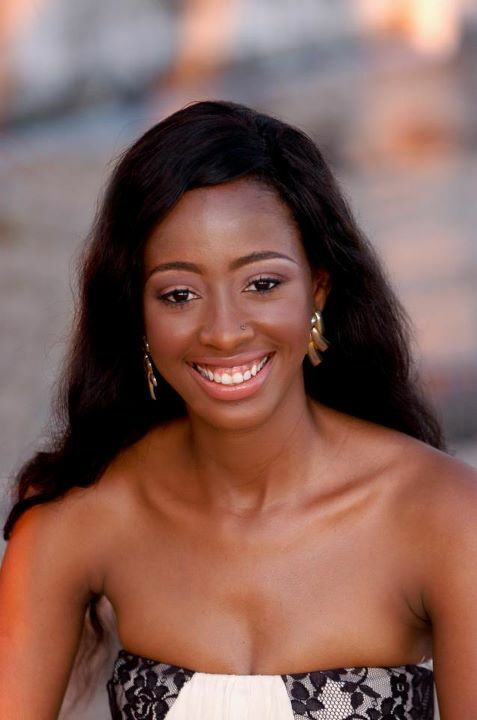 The multicultural island paradise will be represented by Johanna Sansano, Miss Monde Saint Barthélemy 2011. Johanna is 21 and stands 1.74m. You can meet Johanna in an exclusive interview for The Times of Beauty by clicking here. South Sudan: The newest independent nation in the world received its independence from Sudan in July 9, 2011. The inaugural Miss World South Sudan 2011 pageant was organized by Nyanut Ring on late September. Atong Demach was the winner of the pageant and earned the right of representing South Sudan in Miss World. Demach also carries the distinction of being South Sudan's first international participation ever as an independent nation in any type of international event. Demach is 23 and stands 1.80m. She lives is Juba. 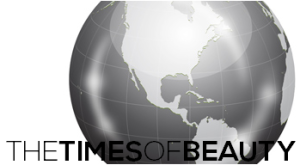 You can meet Atong in an exclusive interview for The Times of Beauty by clicking here.